A quick adaptation of Clumsy Smurf and here you have Handy Smurf. A little change to the hat design and adding his trusty Pencil make a great hana bead design of Handy. His role is that of the village mechanic, usually very resourceful and very creative in designing various types of inventions, some of which have proved useful in protecting or rescuing his fellow Smurfs. 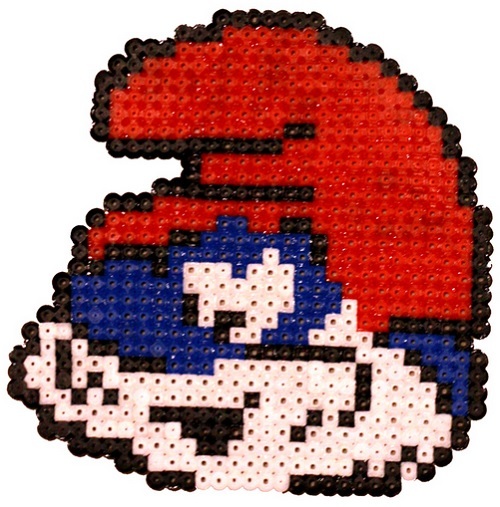 He is easily identifiable by his workman’s overalls and a visored Smurf hat, and carries a pencil around on his ear. 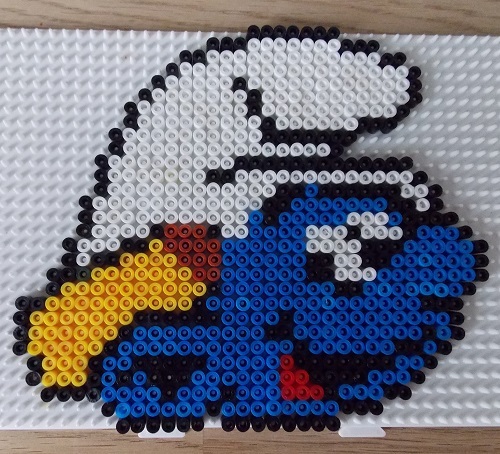 What you require to make a Handy Smurf out of Hama Beads. Colours required – Here is a list of the colours you will require to make this Handy and the part number of the individual coloured packs. Here is our first attempt at a smurf. It looks kidda plain and I think it best represents Clumsy. 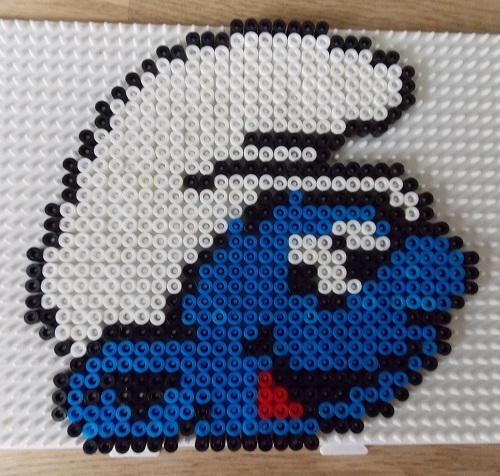 What you require to make a Clumsy Smurf out of Hama Beads. Colours required – Here is a list of the colours you will require to make this Clumsy and the part number of the individual coloured packs.